Share your yawning cat pics with the world. 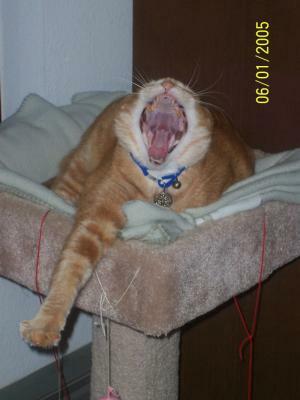 It's quick and easy to upload your yawning cat pictures using the form to the right. After uploading your picture(s) will be available on our site after they have been approved by us (we don't want any non-yawning cats or worse) usually within 24hrs. Thanks for visiting our site! Now go have a nap, you deserve it.